compiled by Frederick Philip Stieff, John Hopkins University Press, 1998 reprint of 1932 publication. A must-have for Maryland historical cookery. Trade paperback with illustrations, white borders and yellow covers, 326 pages. 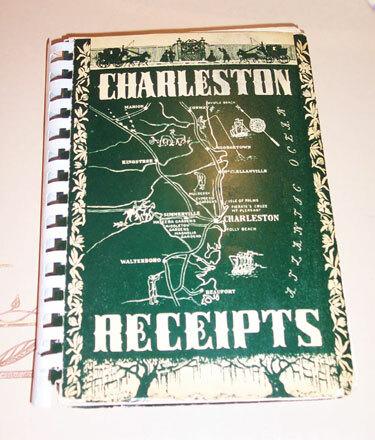 More than 500 traditional Maryland “receipts,” some dating back to the 18th century. The author was one of the sons of Charles M. Stieff, founder of a Baltimore firm known for high quality pianos, which at the time rivaled Steinway & Sons. He was also an amateur cook and somewhat of a Maryland cookery historian. The bounty of the Chesapeake Bay (crabs, oysters, rockfish) get the full treatment, as well as do terrapin and game. Though the gorgeous decorated hard covers and illustrated end papers of the original are gone, the publisher chose to use the handsome original 1932 plates of the text, giving the book a genuine feel of the era it was published. However, some of the drawings by reknowned illustrator Edwin Tunis that most modern readers might consider racist (black “mammy” servants, cooks and field hands given inane dialogue) have been removed. Condition: VG+.